We are a friendly SCUBA diving club of around 70 members based in South Yorkshire. We organise dives trips on a regular basis for club members and we deliver BSAC courses from beginner to advanced levels. 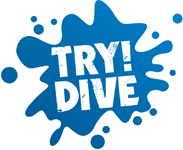 Try dives for £20 !!! Would you like to try SCUBA diving? We've put together a try-dive package for people new to diving. For £20 we'll provide full SCUBA equipment hire and one-to-one diving tuition with a BSAC qualified instructor. someone with a unique gift experience!! Great – you’re in the right place to continue your SCUBA adventure with BSAC! If you qualified with PADI or other agency, joining our club is a great way to maintain and develop your skills. We meet in the Board Room (off the bowling alley) from 7:30pm. Please contact us first so that we know to expect you. We will then make sure that someone is available to chat with you. Already a qualified PADI diver or wanting to qualify? Live near Barnsley, Wakefield, Huddersfield or Sheffield? Through your membership of Yorkshire based Barnsley BSAC Divers you can enjoy a full range of club and training activities, including weekend dive trips, diving holidays and social activities. Formed in 1992, we are a non-profit making SCUBA diving organisation with the simple objective – to dive and have fun! The BSAC tag-line says it all – “Dive with Friends“. As we are a non-profit organisation, many of these activities are run at cost for the benefit of our members. We are an active SCUBA dive club in Barnsley, South Yorkshire about as far from the sea as you can get! But it doesn’t stop us having fun diving. All our dive trips are open to all members. If you want to learn to dive, develop your skills or just come and dive for fun we are happy to welcome you. We welcome anyone interested in diving wherever or whoever you trained with. We are informal and friendly. Come along to the Barnsley Metrodome at 7:30pm on a Tuesday evening and chat, meet new people and make friends. 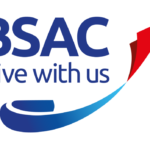 BSAC is the National Governing Body for diving in the UK. It’s qualifications are accepted worldwide, and BSAC has more than 1,000 clubs and 300 centres around the world. BSAC is unusual for a SCUBA diver training agency, such as PADI, in that most BSAC instructors are volunteers and give up their spare time to train others. Given that UK waters are relatively cold and have restricted visibility, BSAC training is regarded as more comprehensive than some. It places emphasis on rescue training very early in the programme which makes your BSAC qualification highly regarded worldwide. Whether in Egypt, Australia, Maldives and Mexico – your BSAC qualification card will always be welcomed by dive centres! If you have always wanted to learn to dive or are simply curious about SCUBA, then a Try Dive with Barnsley BSAC Divers is the perfect introduction! Costing £20, in the safe confines of the Barnsley Metrodome 4 metre diving pool, a BSAC Instructor will introduce you to the basic skills and equipment needed to experience the thrill of breathing underwater for the very first time!